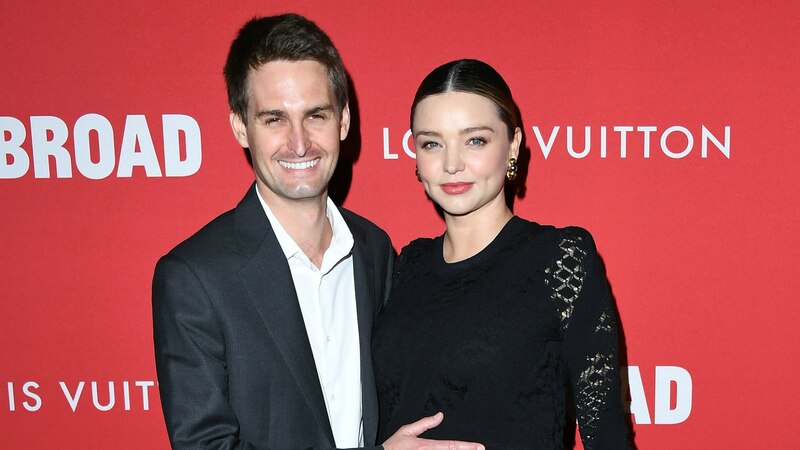 Congratulations are in order for model-turned-entrepreneur Miranda Kerr and billionaire Snapchat CEO Evan Spiegel, who welcomed their first child together, a boy, earlier this week. Baby Hart was born on Monday in Los Angeles and happily greeted by his older brother, Flynn, 7, whom Kerr had with ex-husband Orlando Bloom, People reports. Kerr and Spiegel have been married for approximately one year. The couple tied the knot during an intimate ceremony in front of 50 of their closest family members and friends. Though they haven’t posted any photos of little Hart yet, this kid’s basically guaranteed to be a social media pro. After all, his mom is a former Victoria’s Secret model, and his dad founded one of the largest photo-sharing platforms in the world. I mean, just look at them. This kid’s going to be a living, breathing version of the beautify filter. Plus, he’ll probably have a better skin care regimen by the time he turns 2 than most of us will have in our lifetimes thanks to his mama’s brand, Kora Organics. While she’s a bit biased, Kerr swears her line of natural products helped her avoid stretch marks when she was pregnant with Flynn. Sadly, the body oil won’t be able to give you Kerr’s perfect dimples. You can’t win ’em all, I suppose.